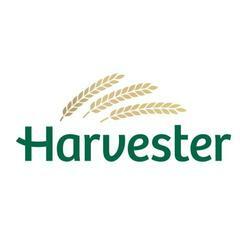 At Harvester, we’re famous throughout the nation for serving up great meals in a family-friendly environment. The key to our success is, of course, our people. Our teams love looking after our guests and every moment is an opportunity to make them feel welcomed and valued.<br><br>Why should you become a Chef at Harvester?<br><br>Because you’ll feel proud of what you do. Proud of every dish, proud of where you work, and proud of your career. You’ll love the brand, love our menus and love the kitchen culture. Read on to find out more.<br><br>Feeling valued...<br><br>When the kitchen is hot and the orders are flying in, being a chef can be tough, no matter how much you love what you do. That’s why, we’re always trying to make you feel valued in your role. We keep our menus varied and we’re going beyond traditional dishes – because our Chefs love to hone their skills with new ingredients and ideas. Every restaurant is different, but we’re united in the way we craft, cook and serve our food. You – you’re at the heart of it all.<br>Being back of house means you don’t often get to see our guests. But, we’ll never forget that it is the quality of food produced in our kitchens that keeps our guests coming back for more. Without a dedicated kitchen team, it wouldn't be possible.<br><br>Feeling proud...<br><br>We’re looking for Chefs who bring a natural sense of pride to everything they do. You’ll:<br>•	Be proud of your kitchen and be a champion of hygiene, cleanliness and brand standards<br>•	Be proud of the dishes you cook and the ingredients you use<br>•	Be proud of your kitchen skills and always be looking to learn from others<br>•	Be positive and energetic in the kitchen, leading by example and setting team standards <br>•	Be a great communicator and a real team asset<br><br>Feeling supported...<br><br>We’ll always support our Chefs, because we know how important you are to our guest experience. That’s why 49% of our Chefs progress to Kitchen Managers at Mitchells & Butlers. Our kitchen teams are welcoming and there’s a strong sense of teamwork here. Everyone helps each other out. At the same time, we’ll support you with career development too. Because we encourage people to work across brands and to develop their leadership skills, you have lots of opportunities to progress in the future. We offer our Chefs:<br>•	Formal training programmes<br>•	Leadership development<br>•	Opportunities to move to different brands under the Mitchells & Butlers umbrella to advance your career<br><br>Feeling rewarded...<br><br>•	A massive 33% off at ALL of our 17 brands for you and up to 5 family members or friends<br>•	Access to shopping discounts with many leading UK retailers<br>•	28 days’ holiday allowance<br>•	The option to opt into our company share schemes (e.g. Free Shares Plan)<br>•	A company contributing pension plan <br>•	Flexible shift patterns <br>•	The chance to earn extra money by referring the right people<br><br>We think that if we give you the ingredients – job satisfaction, great environments, amazing menus – then you’ll love every moment at M&B. Harvester - Cooper Dean is posting their hospitality jobs on Harri.